Workshops can also be arranged outside of these times, dates and times to suit you. Coffee or hot drink of your choice and cake included. Guided tuition to make your own hat (choice of pattern), cowl, scarf or fingerless gloves. All materials provided. Learn to needle felt a rabbit, sheep, monster or wizard. This is a ‘dry-felting’ technique, (no water required) using a felting needle. The felting needle has small barbs on it which allows the wool fibres to interlock. In this workshop you can make a creature (or two) to take home with you. All materials included. Learn a quick and easy diagonal weaving technique to produce woven squares. Also learn how to use the lucet braiding tool for making cord. All materials provided. The workshops take place at the The Woolshed Canaan. 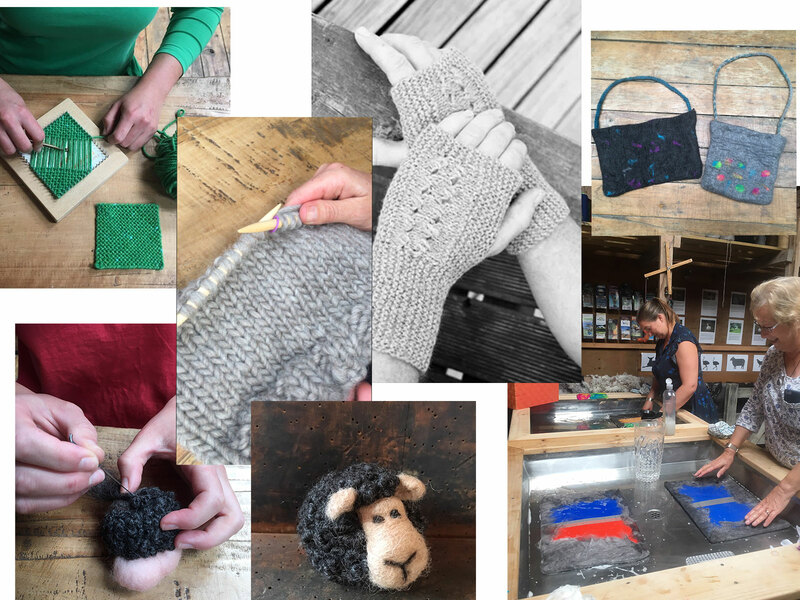 You can book your workshop in the Woolshop page by choosing the desired date. Alternatively you can purchase a voucher (also on the Woolshop page) which, once ordered, can be emailed to you.